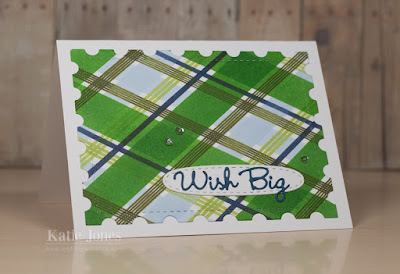 What a gorgeous plaid background and super fun card Katie! Katie I love the background you created. Will be great for a guy card. Merry Christmas to you and your family!! The colors are so pretty together...great job on the plaid! Lucky to get this beautiful card!